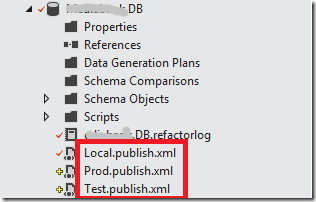 Visual Studio 11 Beta). 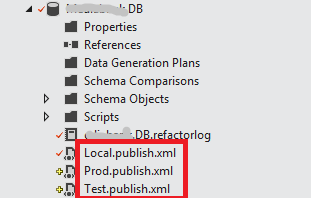 When you open a solution containing a VSDB project, VS11 wants to convert it to a SQL Server Developer Tools project instead. without removing any existing data. 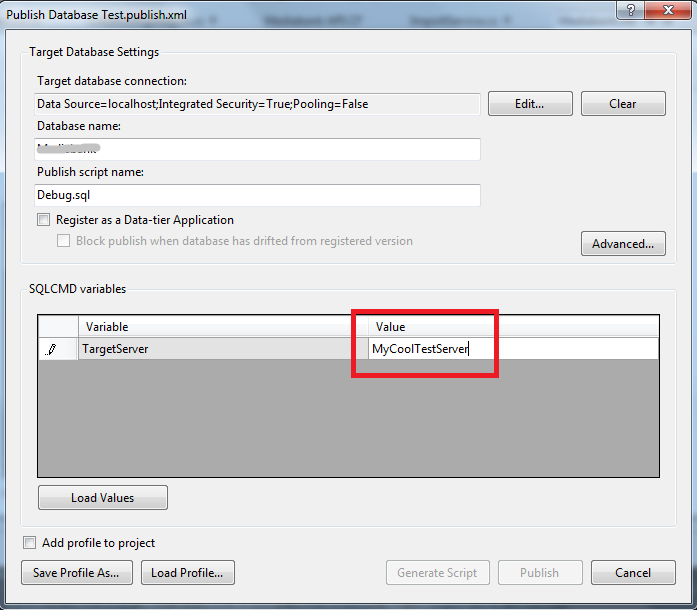 The settings that you enter can be stored in a separate profile file, which you will use when you are deploying the database. Here, I have chosen to deploy the database using the Test profile, which would typically by a remote server used for testing of the build. This is a scenario we had at a client recently, where they used the BCP utility to bulk insert lots of data into a few tables as part of the deployment. To be able to run BCP against different target servers (dev, test etc) in my build, I used the SQLCMD variable. the variables with the correct values. This award is given to exceptional technical community leaders who actively share their high quality, real world expertise with others. We appreciate your outstanding contributions in Visual Studio ALM technical communities during the past year. I’m really looking forward to this year, it’s going to be a blast! 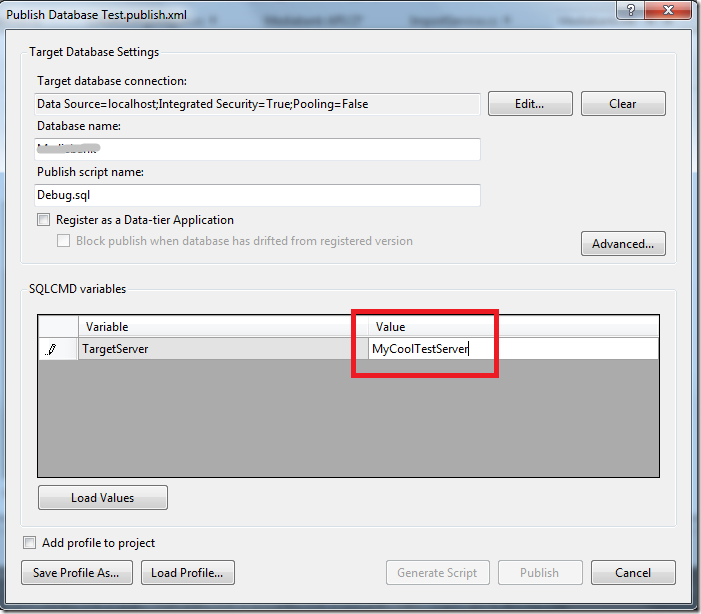 Author Jakob EhnPosted on April 1, 2012 Categories TFS5 Comments on Awarded Visual Studio ALM MVP for 2012!